Running a record label in the 21st century is easy. Anyone with a trust fund can start his or her own imprint. In fact, I’m surprised more rich folks don’t have vanity labels. Seems to me like loads of wealthy idiots would give anything for the paltry amount of credibility that comes along with being able to say, “I’m So-and-So and I run So-and-So Records.” All one really needs is money. With money comes influence and all sorts of other conveniences that even the most savvy of broke, wanna-be label entrepreneurs don’t have. If one has cash in hand and access to the Internet, infinite opportunities are waiting to be capitalized on. Just go find a band that you like or, if you don’t know what you like, one that a lot of other people like and offer to fund the release of their next record. There are literally millions of artists and musicians just waiting for you to reach out. Most will be more than happy to slap your logo on the back of their jacket art as long as you’re footing the bill. Also, taking risks on unknown and/or challenging artists is much less daunting. You lose a little money on a release or two and you keep on trucking, ‘cuz the tank is always full. However, running a label without disposable income is nigh impossible, especially if you’re looking to stay “in the black.” Forget profit, Kill Shaman’s motto is “to break even.” Most outsiders wouldn’t call breaking even a success story, but in the world of independent record labels in the 21st century, it’s absolutely something to write home about and Kill Shaman has been breaking even for 10 years! Kill Shaman’s co-operators Paul Kneejie and Bryan Levine both happen to be gainfully employed. However, neither is rich and neither would be able to survive off of the label alone. But they keep doing what they do regardless and they do it well without falling victim to any of the typical trappings of the record business. They only work with the artists that they like, regardless of how obscure they might be or how risky is the proposition of pressing 500 real vinyl records. One could definitely call the partners’ work a labor of love. They’re long time supporters of their respective local scenes, and Kneejie has played in more bands than anyone (including himself) cares to count. He’s currently in MERX, German Army, Submissions, and Night Control and he has formerly been involved with The Pope, The Manifolds, Megafuckers, Bipolar Bear, and Expo ’70. Levine was also a member of Bipolar Bear and Expo ’70 at one time. Eclectic, doesn’t even begin to describe the Kill Shaman catalog. The imprint has released music in a wide variety of sub-genres including garage rock, minimal synth, weird punk, noise rock, psychedelic drone, lo-fi folk, indie pop, and glue wave. Many of their releases defy categorization and, surely, have been difficult to sell. Many of the artists the label has dealt with are one-man, bedroom recording projects that rarely, if ever, play live and never tour. Kill Shaman, now based out of the owners’ homes in Oakland and Claremont, California, started primarily as a CD / CD-R label back in the early Aughts. The first release was an LP by Kneejie’s band The Manifolds. Shortly thereafter, came more releases by The Manifolds, and other early Aughts, LA Smell-scene staples like Bad Dudes, Silver Daggers, The Pope, Bipolar Bear, and others. Before Justin Wright of Expo ’70 moved to Kansas City, he worked with Kill Shaman for ten or so releases. Matt Hill (now synthesizing cinematic darkness under the Umberto moniker) debuted on Kill Shaman as well. 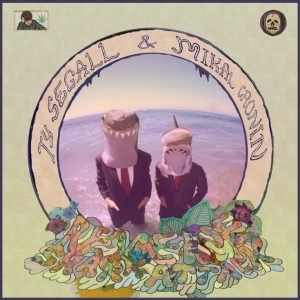 In 2009, the label released the terrific Ty Segall and Mikal Cronin Reverse Shark Attack LP (reissued by In The Red in January 2013). This was three years before Ty performed on Conan and Letterman, released three critically acclaimed albums, toured the world, and conquered most of it. Also in 2009, Kill Shaman worked with The Oh Sees for the Zork’s Tape Bruise LP and CD comp. These acts are household names in the independent music realm and will likely become two of the most heralded acts of the first part of this millennium. Kill Shaman is also one of the few staunch supporters of the so-called French Glue Wave scene and has released records by numerous artists in La Grande Triple Alliance Internationale de l’Est. The Feeling Of Love, Cheveu, Crash Normal, The Dreams, and Dictaphone are all members of the Kill Shaman roster. All of these LPs are highly underrated, barely known in the US, or France for that matter, and are worthy of discovery by fans of garage psych (The Feeling Of Love, Crash Normal), synth punk weirdness (Cheveu, Dictaphone), and tropical dark wave (The Dreams). Both of Kill Shaman’s latest releases, LPs by Net Shaker and Smalts, are excellent. 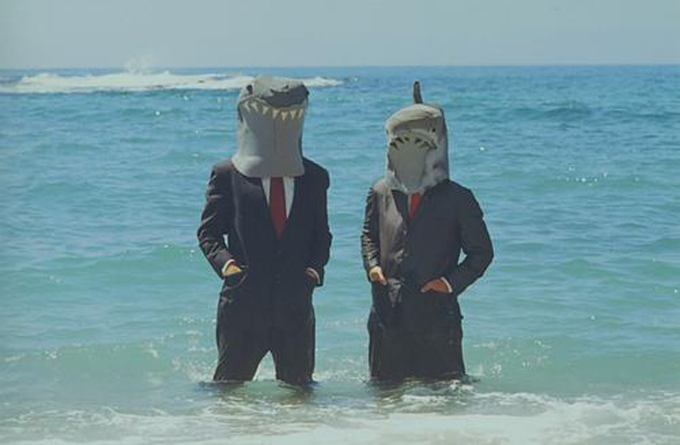 Net Shaker is a recently formed LA minimal synth duo and I’m So Cold is their debut LP. It’s aptly titled and filled with frigid dark wave with haunting vocals suitable for soundtracking. Smalts are a Dutch collective that have been recording since the early 80s. Their brand of wonky synth pop is reminiscent of prime-era Ralph Records, but you know, a little more European, and their new LP Bronze Age Nursery Rhyme is comprised of previously unreleased recordings. 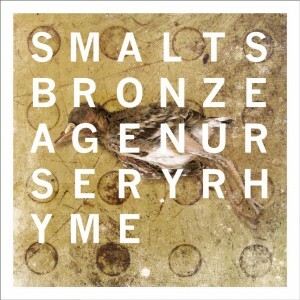 This is Smalts debut release Stateside and it includes a download sampler of releases on their own Blowpipe imprint. As I’ve alluded to previously, this year Kill Shaman is celebrating (whether they want to or not) their 10 Year Anniversary. Congratulations to Kill Shaman on 57 incredible releases — and many more to come! Hilarious… and true. Love this article. I’m going to post a link to it on my blog. I think this pretty much sums up the music business in 2013.